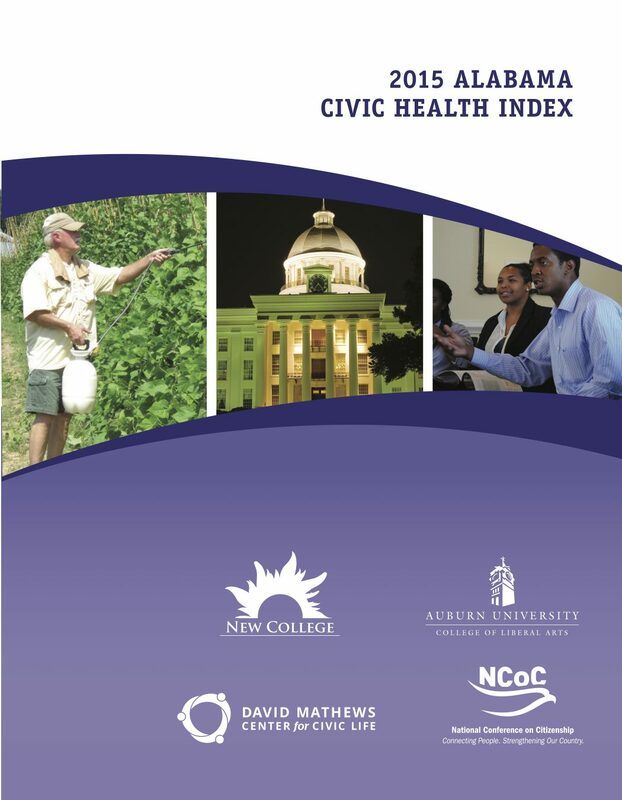 Three key indicators are explored in the 2015 Alabama Civic Health Index: political action, social connectedness, and public work. Examined together, the three indicators illustrate how Alabamians engage in their communities, connect with each other, and work together to solve community problems. 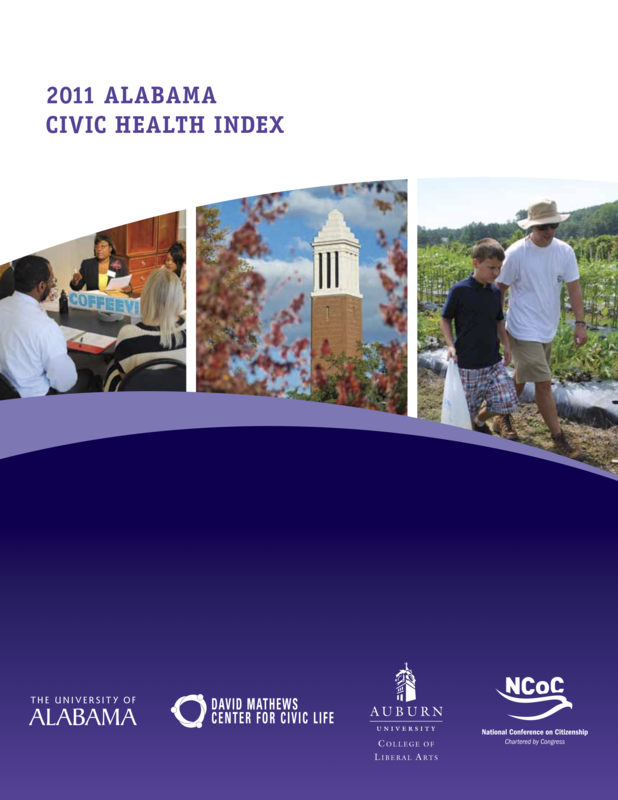 View the 2011 Alabama Civic Health Index here.